With Halloween just around the corner and being in a new area, we are super excited to meet more of our neighbours and families! It’s such a fun night seeing all the kiddies and adults all dressed up in their costumes. Everyone comes out of their homes and chats in the street which is the part I love the most. It gives a real sense of community. 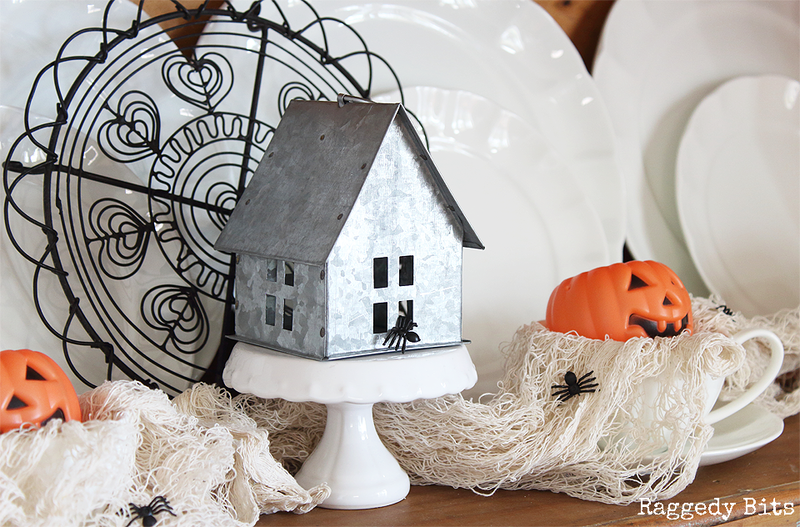 So today along with some of my blogging friends we are sharing some fun Simple Halloween Decorating Ideas that you can try too! 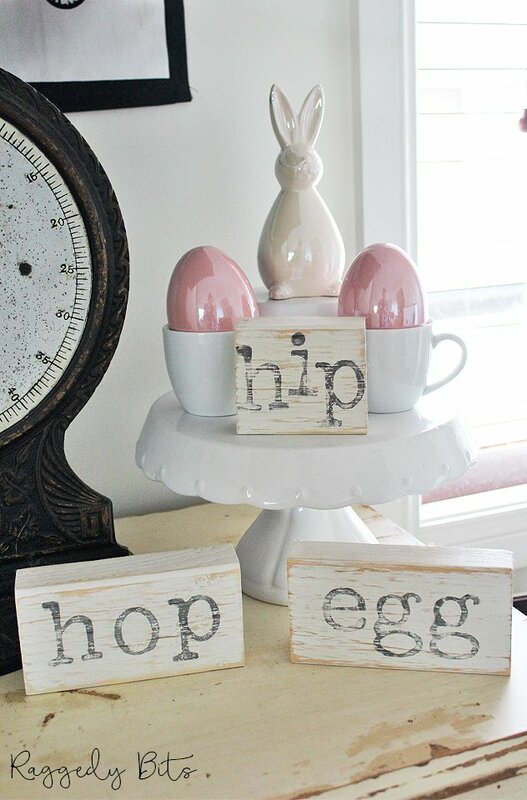 Shopping our house is the first place I start when decorating. 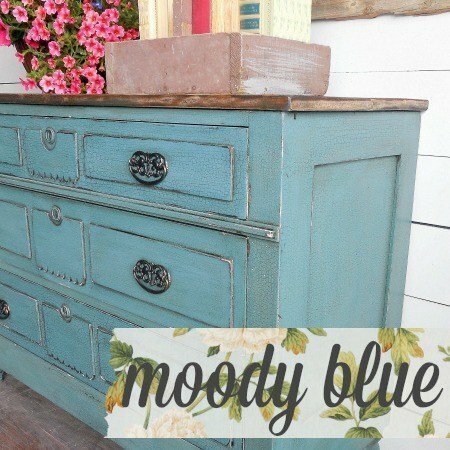 You can move things from room to room and get a whole nice new look. Take for instance the Bat Twig Tree in the centre of the table. This is our forever changing twig tree that gets redecorated a… lot! It started out as a Vintage Doily Twig Tree. 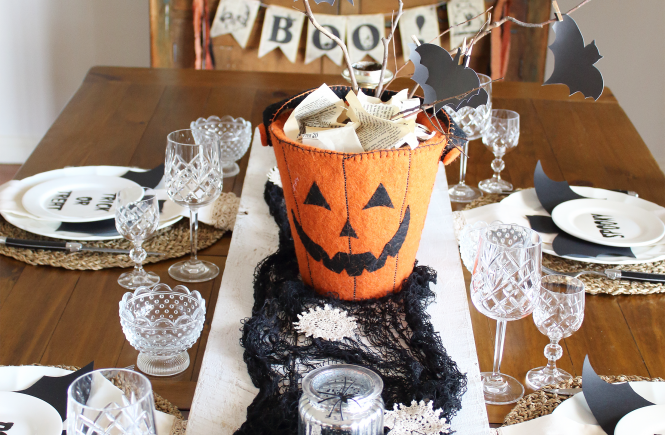 After removing it from its Numbered Enamel Jug and then popping into this cute Pumpkin Pail, add some scrunched up old book pages, it became the focal point for our tablescape. These cardboard bats were from last year. The template can be found here. There are 2 different sizes and these were the larger ones. 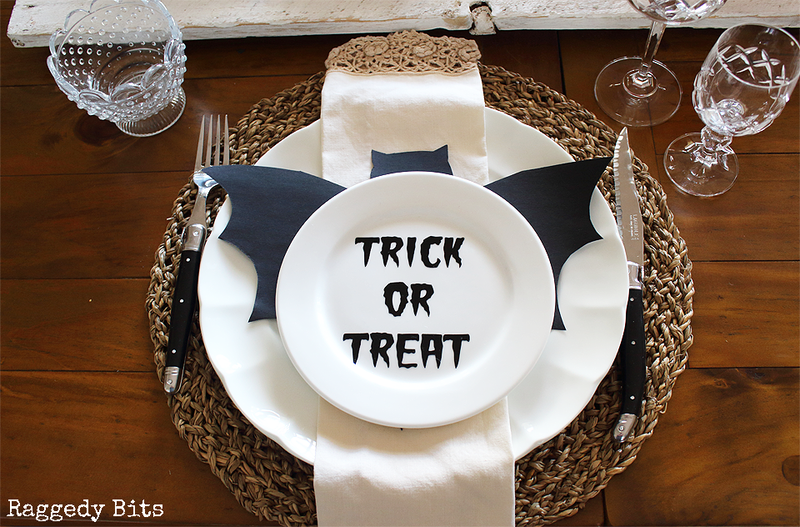 Using Spooky Halloween Labels, you can dressed up some thrifted side plates to keep those bats from flying around too much. Remember those doilies I was talking about earlier that was on my twig tree? They kinda look like vintage spider webs don’t you think? Thrifted silver candlesticks that were in our sideboard were happy to come out and play. 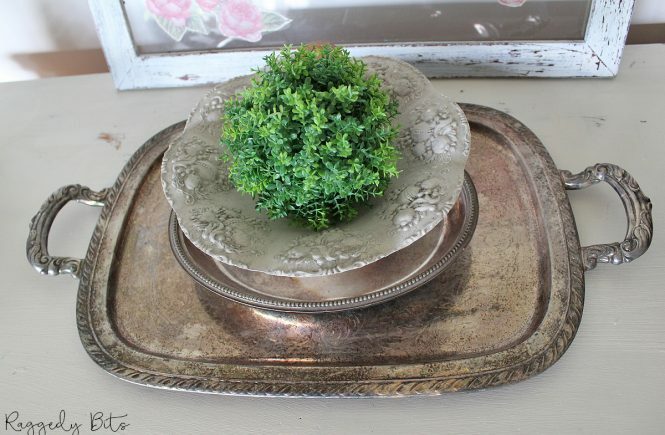 Along with the mercury glass tea light holders that we used on our Christmas Tablescape. Don’t tell anyone, they have been out since then!! 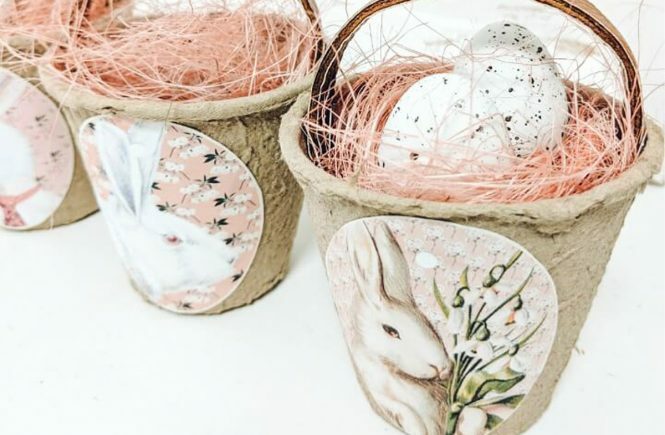 Mini Pumpkins, scary spiders and creepy cloth were all found at the local $2 Shop. But I found online some Pumpkins, Spiders and creepy cloth white or black too if you don’t have one close by. The BOO! Garland was found surfing Pinterest last year. Add some torn scraps of fabric and you’re done. 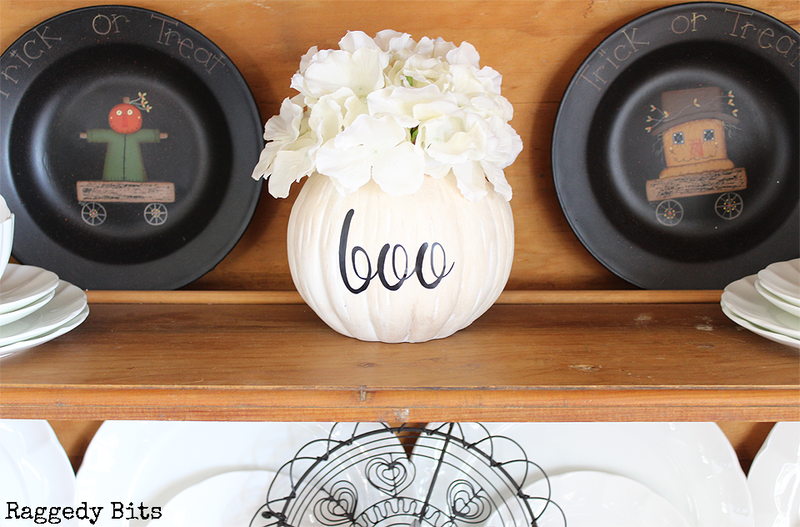 Little BOO pumpkin was a 20c thriftshop find painted white, antiqued and a vinyl label. All I can say is heaven help us if an actual spider should appear among all of these Halloween Goodies. Hubby and I are petrified of them. Hubby more so, because I’m usually the one who sends those spidies on their way. He’s usually standing on a chair somewhere covering his eyes!! I should have had spider removal written into the wedding vows! Ahh well, he can deal with the snakes if we have any this Summer! Be sure to check out some more Halloween fun below. Sam, your Halloween decor is really cool and wow, you´ve gone all out. I hope you have a fun night in your new neighbourhood and enjoy! 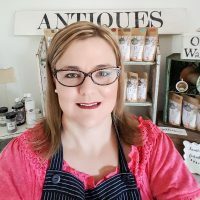 Thank you for organizing this fun blog hope, loving it to be part of it! Thank you for joining us Katrin!! It’s been so much fun looking at everyone’s post!! 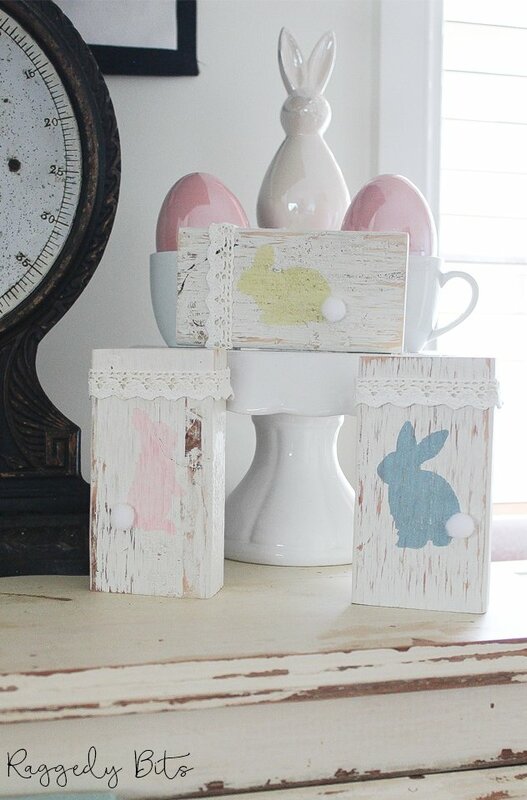 I love that this is done mostly with things you have and just reused. It looks wonderful Sam. 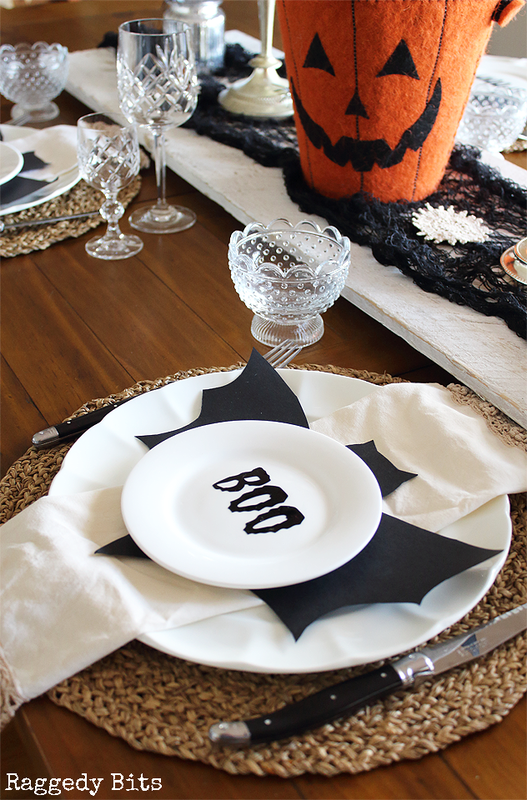 I especially like the thrifted plates with the Halloween labels, simple and inexpensive idea. Thank you so much, Leanna! Love to fluff about decorating!! The best bit is when either the Hubby or the kids see it and those big smiles!! Nothing better!! 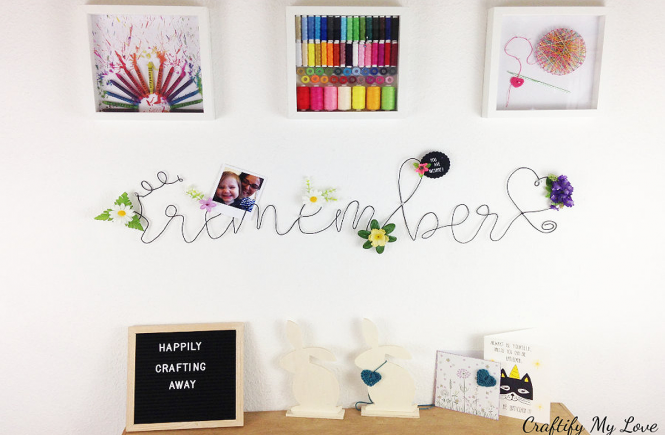 Oh Sam, this is my first time visiting your blog and I am swoon by it! 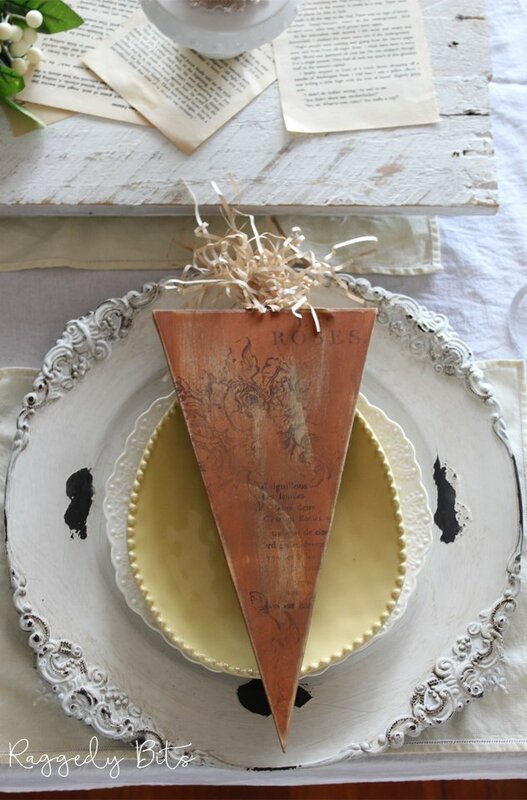 Love your creative style and I will continue to follow along 🙂 I just adore your halloween table setting and I also love all your inexpensive ideas they are right up my alley! Have a Happy Halloween Sam! Aww thank you so much, Norma!! I’m sure that I will be doing the same with your beautiful blog!!! Hope you to have a Happy Halloween! 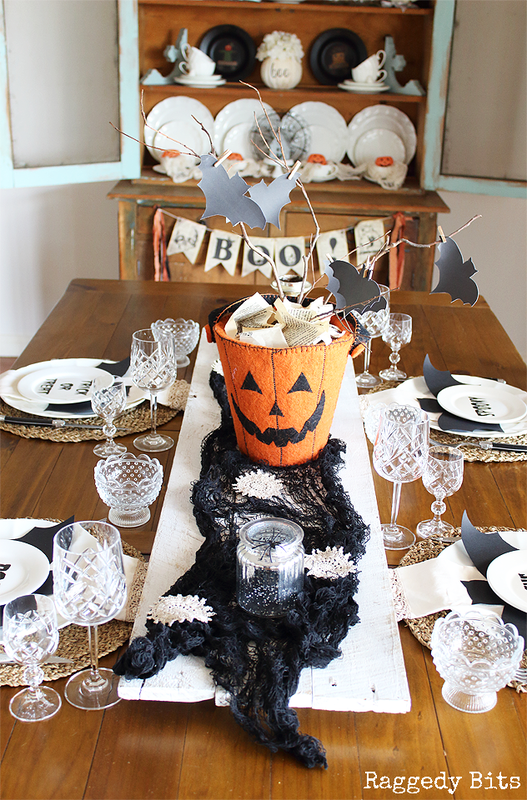 Your Halloween table is fabulous! You are so crazy talented! I love that you and Simon have to deal with gigantic spiders! You are a trooper and he is awesome to deal with the snakes! Let’s hope your new home doesn’t have either! We’ve already had spiders 🙁 but I will be beside myself if we have snakes! It’s going to be a long hot dry summer which means they will probably come out of the bush looking for water! I just love your pumpkin centerpiece! Everything on your table is simply stunning. I hate spiders too! lol Love the plates and your boo pumpkin too, Sam. Everything looks like perfection! So glad you like it, Carolann!! We are a bit excited here and can’t wait! 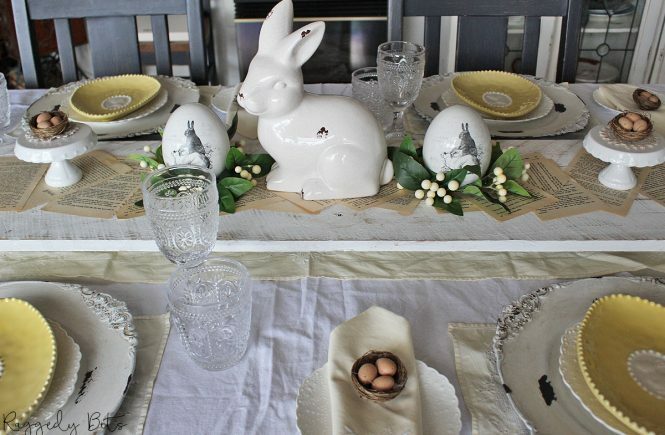 Sam your tablescape is boo-ti-ful. And I love how you are always repurposing everything. That’s the only way to go, otherwise we’d all be broke. 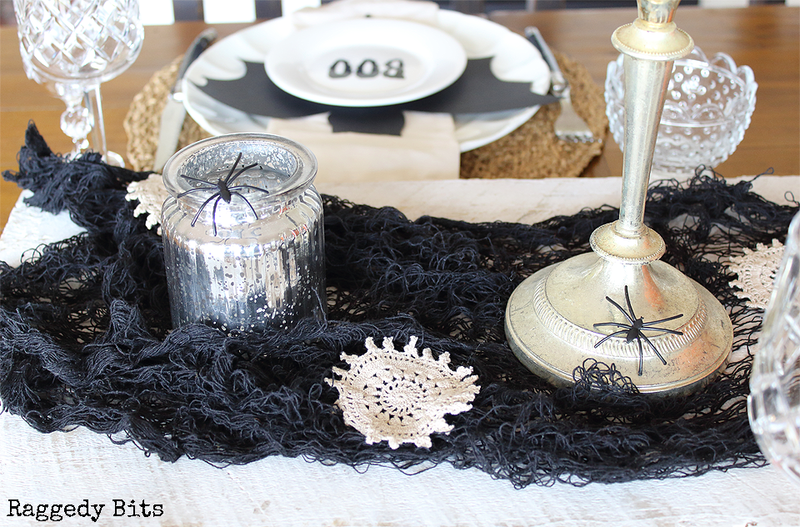 The doilies as spiders is a clever idea and the boo plates, fantastic! Just keep the snakes away. I’ll take care of the spiders. So glad you have enjoyed our tablescape, Tara! Thank you! 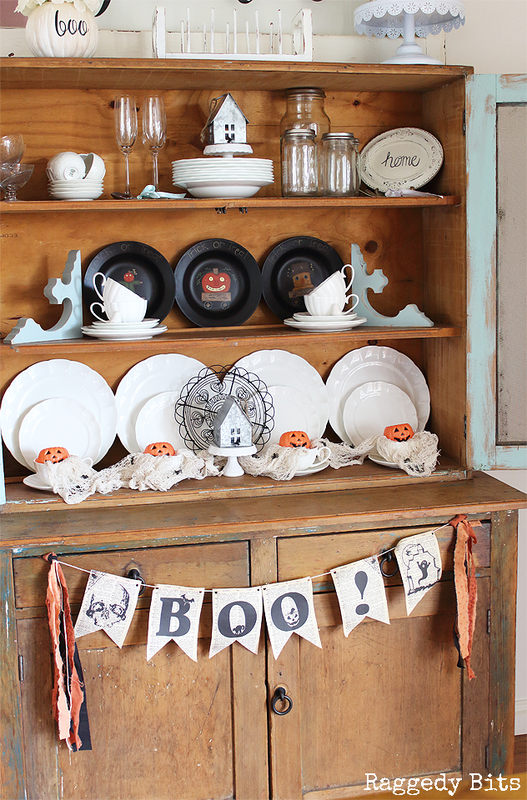 Your Halloween decor looks fabulous! The twig tree is really neat, and it’s great that it can be changed up for each holiday. 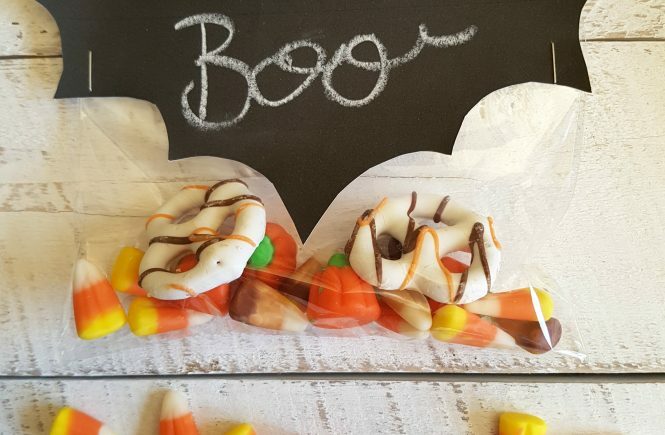 Love the trick or treat plates by the Boo pumpkin, those are adorable, and the banner is so cute! Everything looks really nice. I’m the one to rid the house of spiders as well, the hubby gets the scorpions. They creep me out! Isn’t it so nice that we have hubbies that balance out the creepy things with us Linda! I would freak out with Scorpions too!! 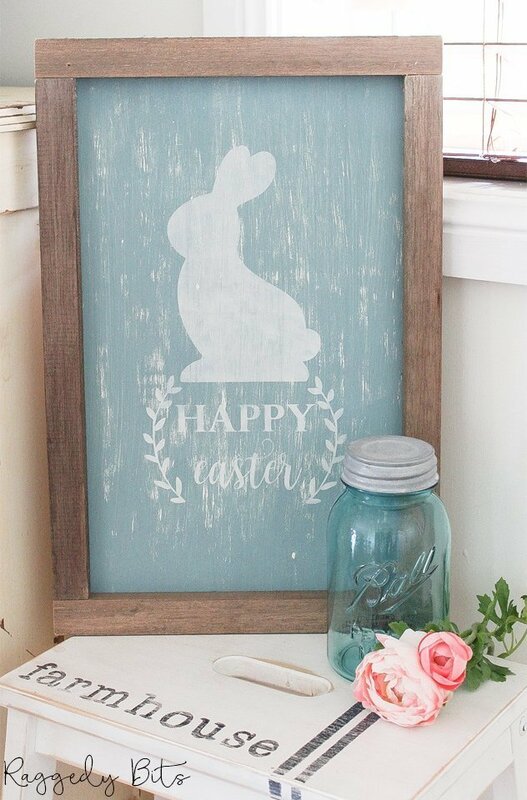 Thank you for organizing this fun blog hop. 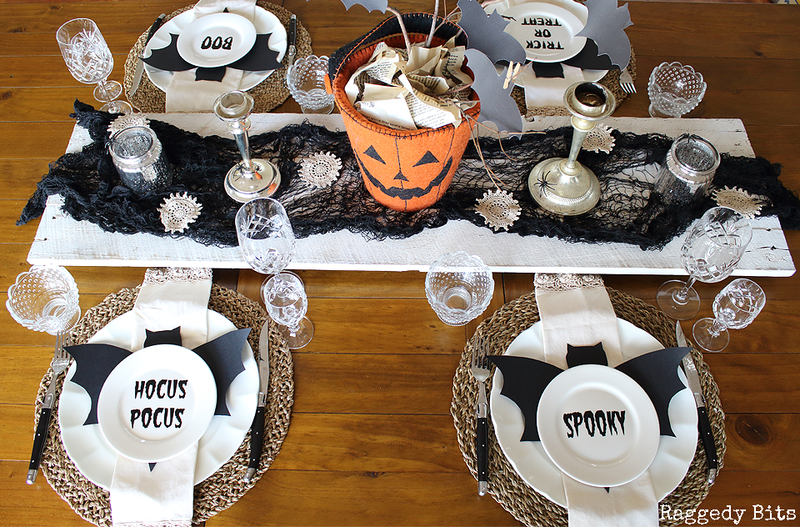 I love the little bats you created for each place setting! Thank you for joining us, Tammy! you had me at simple!! love this! So glad you like it Yuni! Thank you! Your boo pumpkin is so sweet. Thank you, Claire! It’s a painted plastic one that I found at my local Salvos! Thanks, Deborah! We will enjoy it I’m sure!